You can’t eat this. No, don’t eat that. Unfortunately, no is a common word associated with diets. And in some instances, we end up writing off the wrong foods and missing out on essential nutrients. Some foods get an undeserved bad rap, but it’s time to give the following six “unhealthy” foods a clean slate. The all-you-can-eat buffet may seem like a dieter’s demon, but there are few tricks to navigate the bottomless options of food with ease. Once you look past the rolls, pastas, and brownies, you can find some healthy options like fresh vegetables, fruits, and salads. Learn how to master the all-you-can-eat-buffet without derailing your weight loss plan. 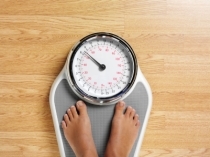 Why You Regain Lost Weight – And How to Make Sure It Never Happens Again! Losing weight isn’t always the hardest part of a weight loss plan. Often times, the bigger challenge is keeping it off. Many dieters get stuck in the lose weight, gain weight cycle, but with proper education and guidance from trained medical providers, this doesn’t have to be your fate. 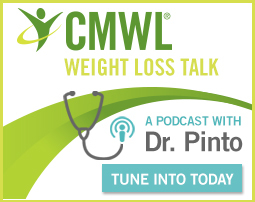 Learn the most common mistakes that cause people to regain lost weight, and find out how to make sure it never happens again!